Our Advertising Policies. We At-the-Doll-House.com are affiliates of a number of online businesses. Of which we are enthusiastic about representing. Our Authorized Affiliate & Ad Policies page. It is intriguing doing business online. Those of you who pursue this kind of enterprise know what we are talking about. Those of you who do not, it's like any other business you see online or offline. Every business around seeks to earn a living while providing you with a necessary real service. We strive to constantly upgrade our knowledge and instruction base. And to represent the best of the best for your sakes and ours at all times. You may have noticed our affiliate link to the right of all pages on our site. 'Advertising Policies plus Authorized Affiliate Info' This link takes you to this page where we list all our sponsors corporately together. It's all work and they who would tell you differently are not giving you thorough enough information! That's a strong statement, but none the less, true. 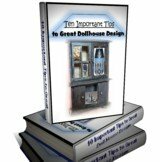 At-the-Doll-House.com is constructed as a free information site, where we review different items we feel will be of honest interest to our readers. While striving to be exemplary in our conduct to you always. And yes, most emphatically, we endeavour to make a living from our site everyday. Just as you seek your pay check we survive when people like you honor us by honoring our sponsors and purchasing products from us and them. So everyone comes out a winner in this situation. We are basically all partners in this together. We will always be updating this Ad Policies section from time to time.And yes adding more sponsors as we become confident on your behave that they will provide you with more options, findings, ideas, and experiences. A Special Word regarding Amazon: At-the-Doll-House.com is a participant in the Amazon Services LLC Associates Program, an affiliate advertising program designed to provide a means for sites to earn advertising fees by advertising and linking to Amazon.com, Endless.com, Smallparts.com or Myhabit.com. See any missing info on our Advertising Policies page? Contact our site to let us know here.